Low Pricing, Flexibility. This is very rare, but is a possibility. Only what is pictured is shown. If it is not pictured, it is not included. This is an open box item and is in great condition. Condition is used, sold as Is. Bottom of bass is chiped, a few screws missing from pick guard, striped truss rod nut, Electroinics work and bass is functional. SKU: 0374550506 – Manufacture: Squier. Truss Rods – Head Adjust. Series – Classic Vibe. Body Shape – Jazz Bass®. String Nut – Bone. Body Finish – Gloss Polyurethane. Neck Finish – Tinted Gloss Urethane. The neck has black block inlays and binding. The bass has a Fender/Squier bridge plate with 5 adjustable bridge saddles. It has open geared tuners and the strings mount through the bridge. The electronics are all working properly. BRONCO BASS EZ PROJECT?. EZ PROJECT because the tuner although working, will need to go eventually, and you'll have to set it up, etc. Clean, good solid shape.if you're in the market for nice guitar.at a great price.you cant do much better. The Affinity Series Jazz Bass V (five-string) is a value-priced version of the world-famous Fender Jazz Bass guitar. It has the look and tone that everyone knows and loves, at an ultra-economical price point. This bass ramp is designed to mount onto the pickup screws on select Jazz basses This is an Ebony ramp for Fender Jazz V Basses. - Wave top portion provides new areas to anchor your thumb. - Newer Squire V Five String Jazz Basses. Lightly used, very good condition. Could use a set up. No case or bag included. Squier Affinity Series basses represent the best value in bass guitar design. Limitations and Exceptions. If you’re not satisfied, neither are we. It’s that simple. item# 1500000213942. This bass is in great condition. The only problem is that the tuning peg on the G string has a slight buzz. Has La Bella 0760M Deep Talkin' Bass Flatwound Bass Strings - 1954 Original. Will toss in a cheap gig bag and strap. This has been used gently and in very good used condition. 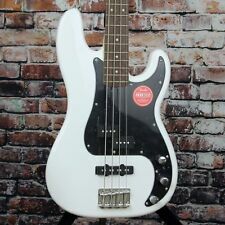 2011 Fender Squier Affinity Series J Bass Guitar 4 String Black and White EXTRAS. Condition is Used. Few scuff marks as seen in pictures but works great! Included are much needed accessories. Ships next day! 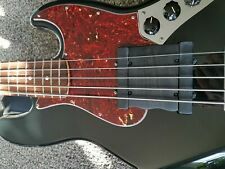 Up for sale is a used Squier Bronco Bass. I changed the strings not to long ago with Rotosound Swing Bass 66 shirt scale strings size40 50 75 90. I'm not a professional but I set the action decently low. KNOCKOUT FRETLESS. Fretless ebonol fingerboard with inlaid white fret-marker lines. 4-Bolt Squier®. Split-single-coil Precision Bass® pickup. Precision Bass®. Fender-Designed Split Single-Coil Precision Bass. The slap instantly shifts between active and passive modes for the ultimate in tonal flexibility. GET ACTIVE. Squier J Bass by Fender. IF YOU HAVE A RUSH NEED, LET US KNOW. Excellent condition. Fresh strings. fast straight neck, full scale. Sounds great! A 9/10 on a 20 year old item is different than a 9/10 on a one month old item. A nice short scale bass, set up with flats. Squier by Fender 4 String Precision Bass. Up for sale we have a Squier by Fender P-Bass in Good Working Condition. The Guitar does have sigs of wear & use. This Electric Bass Guitar is a real cool, smooth guitar. Other A tribute to the decade that made the P Bass® an icon, the Classic Vibe ‘60s Precision Bass embodies the aesthetics of the original and produces massive tone courtesy of its Fender-Designed alnico split-coil pickup. Squier Classic Vibe '70s Jazz Bass V. Neck Plate: 4-Bolt Squier®. Body Material: Poplar. Fingerboard Material: Maple. Fingerboard Radius: 9.5" (241 mm). Body Shape: Jazz Bass®. Neck Material: Maple. Nut Material: Bone. I have for sale a Squier II Percision Bass Guitar. The guitar is fretless after the 14th fret. It functions as it should. The Contemporary Active Jazz Bass HH V caters to modern players with a 12”-radius maple fingerboard on a slim, modern “C”-shaped neck profile, providing fast and comfortable playability. Bridge Pickup: Squier® SQR™ Ceramic Humbucker. These have the reputation to be one of the best Squier ever made next to the early Japanese. IS A TONE MONSTER PIECE, This bass sounds amazing. I would say is in very decent used condition. Bass was detailed, adjusted, wood oiled, frets done and polished. Squier Jazz Bass By Fender Fender Jazz Bass headstock decal. Condition is Used. Shipped with USPS Priority Mail Flat Rate Envelope. Body Shape: Jazz Bass®. Bass Guitars. Hardware Finish: Nickel. (Bridge Pickup), Master Tone. Scale Length: 34" (864 mm). Color: Natural. 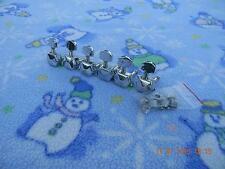 Strings: Nickel Plated Steel. 045-.130 Gauges. Pickup Switching: None. Squier Pete Wentz Signature precision bass. Excellent quality bass that plays and sounds amazing! All in all a killer bass! A tribute to the decade that made the P Bass® an icon, the Classic Vibe ‘60s Precision Bass embodies the aesthetics of the original and produces massive tone courtesy of its Fender-Designed alnico split-coil pickup. The smartly alluring all-black look of the Classic Vibe Precision Bass '70s extends to the pickguard, the finger rest and, in a stylish touch, the binding and block inlays on the maple fingerboard. Huge tone roars from its traditional split-single-coil pickup. Color: Olympic White. Body Material: Soft Maple. Body Shape: Jazz Bass®. Neck Material: Maple. Bass Guitars. Fingerboard: Maple. Bridge Pickup: Fender-Designed Single-Coil Jazz Bass. Middle Pickup: Fender-Designed Single-Coil Jazz Bass. Squier by Fender Classic Vibe Precision Bass '50's. in White Blonde Finish w/ Maple Fingerboard. Fingerboard: Maple. Fingerboard Radius: 9.5" (241 mm). Color: White Blonde. Series: Classic Vibe. Neck Material: 1-Piece Maple. Up for grabs is a very nice looking 1987 Squier by Fender Korean jazz bass guitar,, THIS. These have the reputation to be one of the best Squier ever made next to the early Japanese. IS A TONE MONSTER PIECE, This bass sounds amazing. ONLINE OPINIONS.I'd say they were a very slight step down from the then-current MIM Standard. I think they were only made in 1994 and 1995 when they were moving production of Asian Squiers from Korea to Indonesia and China so a 1994 or 1995 MIM Squier Series Fender was about equivalent to a 1994 or 1995 MIM Fender, but with lesser quality tuners, pickguard, saddles, electronics. The original '61-'75 provided distinctive low end for everyone from The Beatles to The Cure. 30” scale length, guitar tuning one octave below standard. AUTHORIZED FENDER DEALER. Three on/off slide switches (one for each pickup), “strangle” bass-cut slide switch. The slim taper maple neck features a black-bound maple fingerboard and black block inlays. We strongly suggest that you check your order after receiving it to be sure that it is in proper working order. The original '61-'75 provided distinctive low end for everyone from The Beatles to The Cure. in 3-Color Sunburst Finish w/ Laurel Fingerboard. 4-Bolt Squier®. 30” scale length, guitar tuning one octave below standard. Bass plays and sounds fantastic! The Contemporary Active Jazz Bass HH V caters to modern players with a 12”-radius maple fingerboard on a slim, modern “C”-shaped neck profile, providing fast and comfortable playability. Squier Contemporary Active Jazz Bass HH V.
A tribute to the decade that made the P Bass® an icon, the Classic Vibe ‘60s Precision Bass Left-Handed embodies the aesthetics of the original and produces massive tone, courtesy of its Fender-Designed alnico split-coil pickup. Superior sound and feel for the five-string bassist, with superior Squier performance and value. Neck Plate: 4-Bolt Squier®. Fingerboard: Maple. Fingerboard Radius: 9.5" (241 mm). Body Material: Soft Maple. Body: Poplar. Fingerboard: Indian Laurel. Fingerboard Radius: 9.5" (241 mm). Color: 3-Color Sunburst. Body Shape: Jazz Bass®. Neck Material: Maple. Bass Guitars. Frets Size: Narrow Tall. SKU: 0374530500 – Manufacture: Squier. Truss Rods – Head Adjust. Color – 3-Color Sunburst. Series – Classic Vibe. Body Shape – Jazz Bass®. String Nut – Bone. Frets Size – Narrow Tall. Bridge Pickup – Fender® Designed Alnico Single-Coil. SKU: 0374530506 – Manufacture: Squier. Truss Rods – Head Adjust. Series – Classic Vibe. Body Shape – Jazz Bass®. String Nut – Bone. Bridge Pickup – Fender® Designed Alnico Single-Coil. Neck Pickup – Fender® Designed Alnico Single-Coil.